Autumn holidays are coming up and you might wonder where you should go to enjoy stunning autumn colours! Here are 10 reasons why you should not travel in UK during fall, well, or maybe you should, we let you choose! 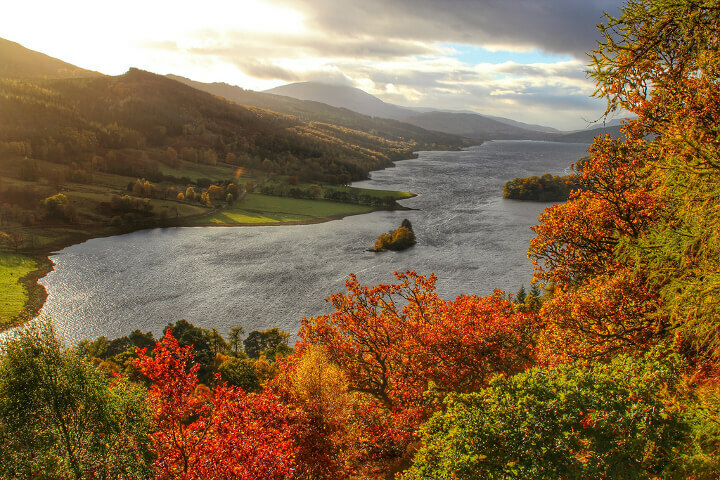 Queen’s view on the Loch Tummel in Pertshire via Jacob Martin/Creative Commons. Loch tummel is situated in Pertshire, Scotland. The Queen’s view provides a sensationnal spot on this long narrow lock and can be accessed via walking and cycling routes. Pertshire is known as “Big Tree Country” due to its many beautiful forests and woodlands particularly appreciated during fall as trees turn gold and crimson. The main city, Perth, could be the starting point of your adventure. The lower Cwm Lleidi reservoir of the Swiss Valley in Wales via Gareth Lovering/Creative Commons. The Swiss Valley is actually situated in South Wales, 13 miles away from Swansea. If you’re looking for a small wildlife rich walk to enjoy autumn colours in complete tranquility, the path is suitable for all ages and abilities. 3 – You see, ugh. 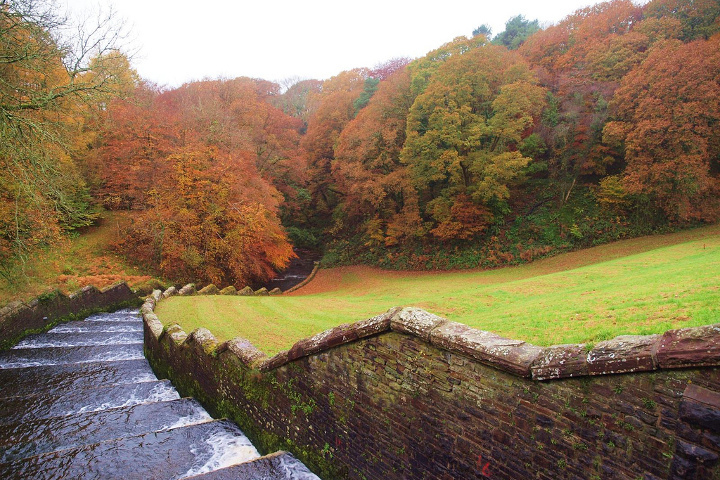 Stourhead garden in fall via weesam2010/Creative Commons. 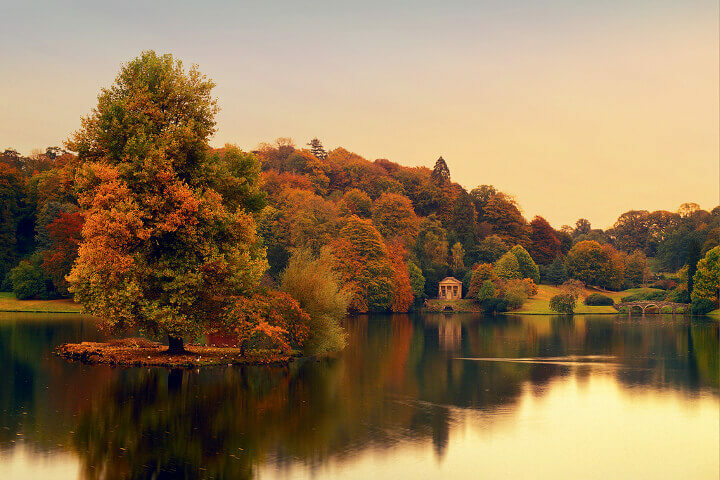 Stourhead is situated in Wiltshire, in South West England, its world-famous landscape garden surrounds a lake reflecting the delighful colours of trees in autumn. Perfect place for a day of fresh air! 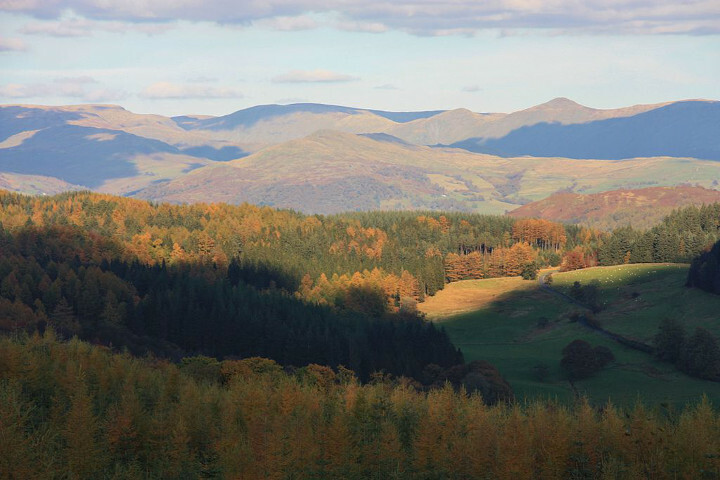 Grizedale forest is situated in the Lake District, in the north of England. The Lake District is probably UK’s most popular national park combining mountains, lakes and forests, imagine the combination of colours that you can enjoy from the walking and cycling paths. Autumn in Snowdonia National Park in Wales via Snowdonia National Park/Creative Commons. 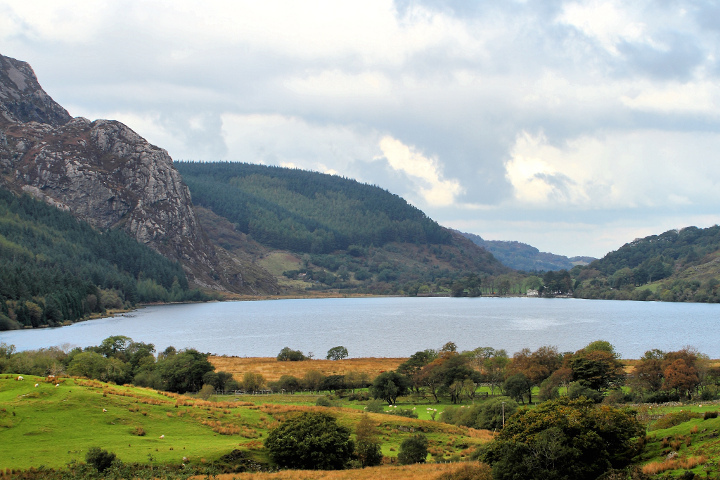 Snowdonia National Park is situated in North Wales and covers 838 square miles with 23 miles of coastlines. The area and the many activities available in the park deserve that you remain several days to breathe the fresh air and discover the natural treats of autumn! 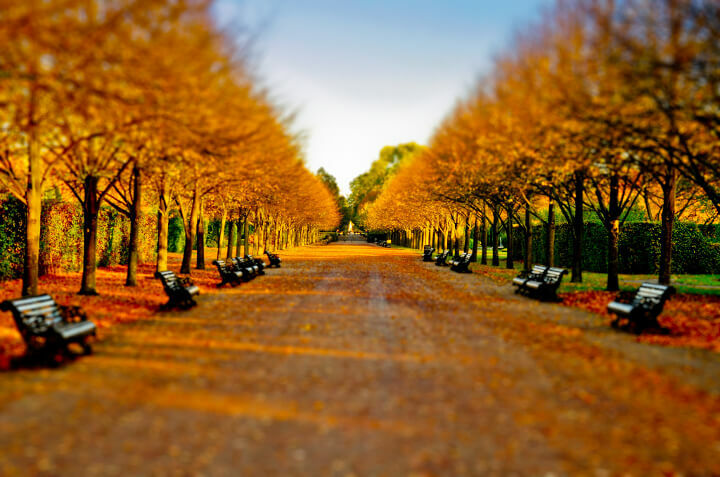 Regent’s Park in october via Mendhak/Creative Commons. Regent’s Park is situated in North London, just near London Euston train station. It is one of the Royal Parks of London and is home of London Zoo and to stunning gardens and green spaces. View on Albert Memorial in Kensington Gardens via Gary Rodgers/Creative Commons. Kensington gardens are situated on the west of Hyde Park in London and offers anvenues of magnificent trees as well as ornamental flower beds. 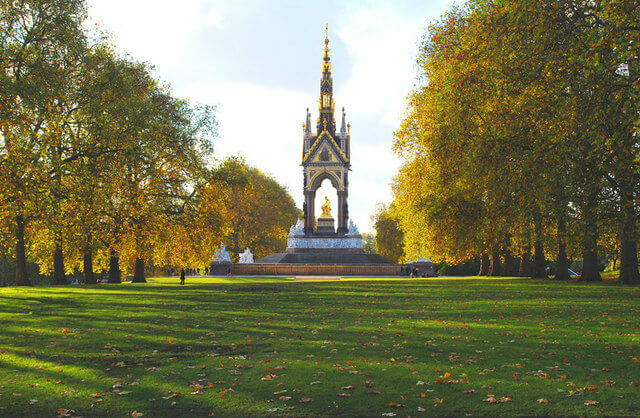 The Albert and Diana memorials, Serpentine Galleries and Kensington Palace are in the park. London is a great city to visit in Autumn with lots of parks and events. Sefton Park in Liverpool via Aphrodite Art/Creative Commons. 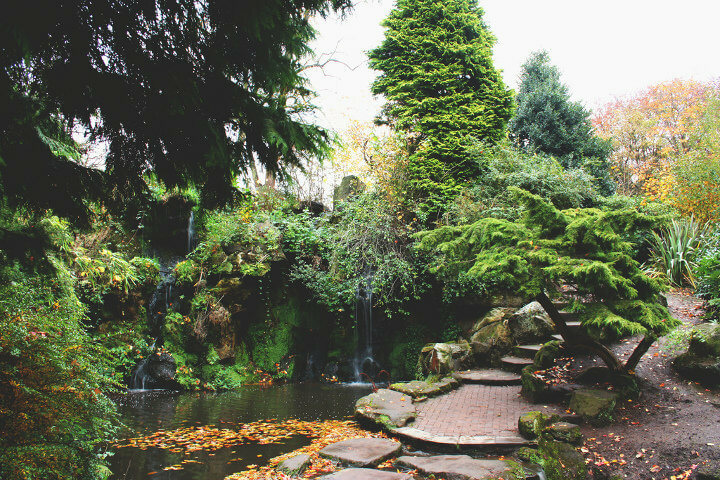 Sefton Park is Liverpool’s biggest park with 235 acres and contains the Palm House, the Shaftesbury Memorial as well as the Fairy Glen that you can see above. It is a popular spot to enjoy autumn colours in the city while walking, jogging or cycling. You can easily travel to Liverpool by train or bus. Sheffield park garden via Henry Hemming/Creative Commons. 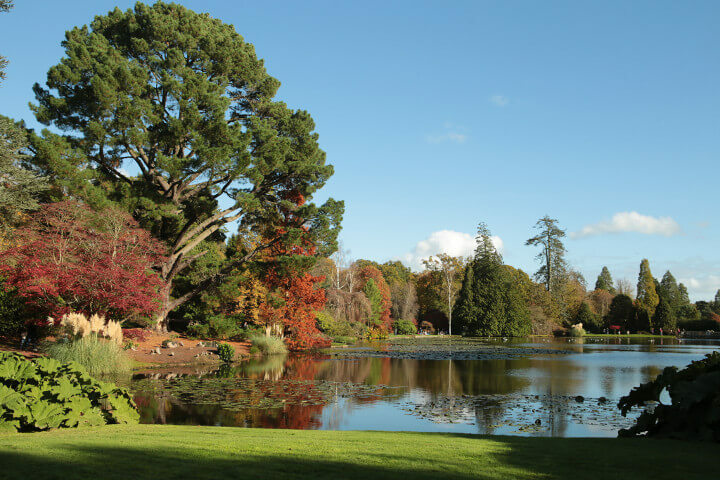 Sheffield Park Garden is situated in East Sussex, as the leaves start to turn, this place provides a sensational pallet of autumn colours. 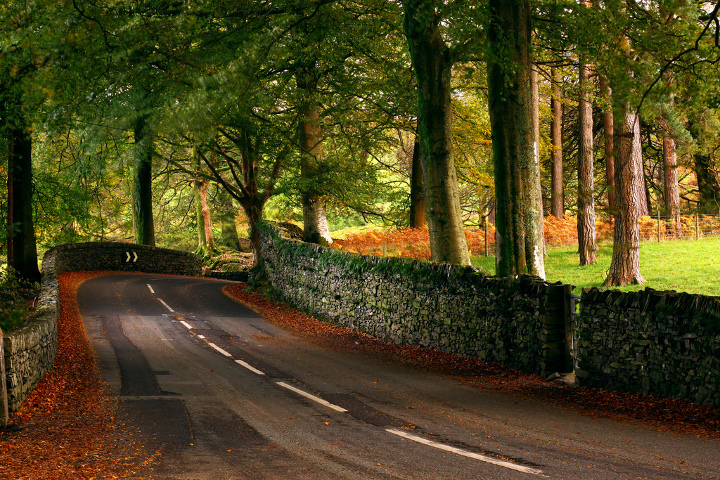 Autumn road somewhere in-between Ambleside & Windemere (Lake District) via Mycatkins/Creative Commons. 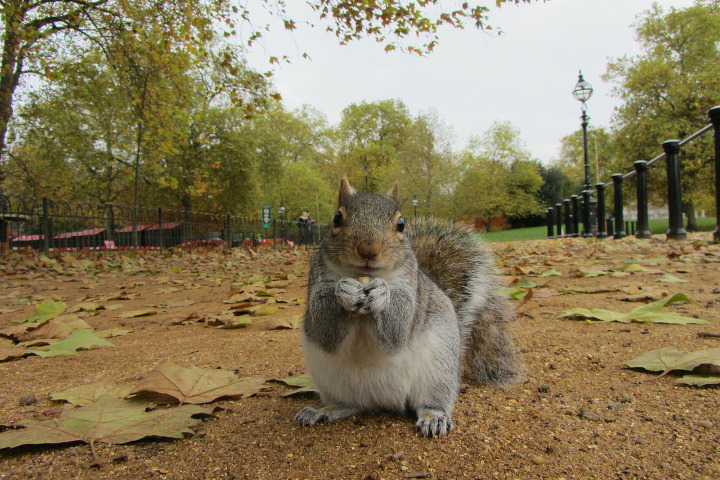 London park: squirrels collect nuts and seeds in the autumn and bury them in many scattered hiding places. Featured image credits: Pink Sherbet Photography . All Flickr images used in this article are licensed for reuse under this Creative Commons Licence.